Hello Library and IT at Medway! If you’re starting at University of Kent’s Medway campus in September, you might be wondering where to study, how to get online, and how to find the books you need for your course. 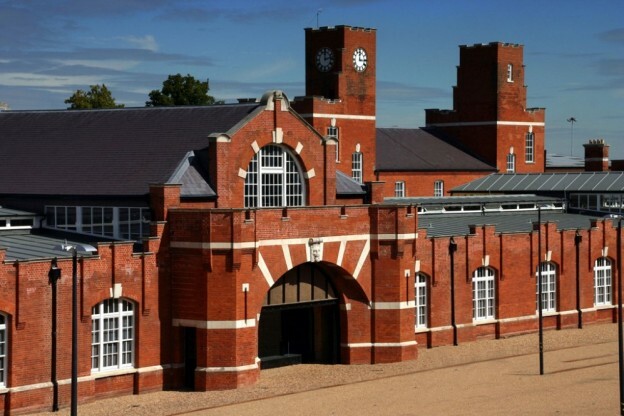 The Drill Hall Library is your main library at Medway. It has the books you need, plus study spaces, PCs and laptops, printers, photocopiers and scanners, and support for your subject. Read this useful guide to the Drill Hall Library. It tells you the basics, like when it’s open and how many books you can borrow. Visit the Library for your induction session, which has been pre-arranged by your School or department, to learn your way around. Look out for games, competitions and fun prizes in Welcome Week in the Drill Hall Library.Take part in our induction and experience summer seaside fun and games. Over 500 student PCs, laptops and 800 study spaces in the Drill Hall Library and University of Kent buildings. Borrow a laptop for a day loan from the self-service cabinet in the Pilkington building Monday to Friday 08.00 – 18.30. If you need help, look out for the leaflet in your welcome pack, which you will receive at registration, visit the Helpdesk in the Drill Hall Library, or contact our IT & Library Support Desk. Need a space to work? You can use the Postgraduate Researchers’ Room in the Drill Hall Library. This newly designed and furbished room is available for postgraduates from all three Medway universities, providing an excellent space to study, network, practice presentations and meet those with similar research interests. Follow and message us on Twitter, Facebook and Instagram. This entry was posted in Medway Student and tagged Medway on 6 September 2018 by Sophia Cheraitia.